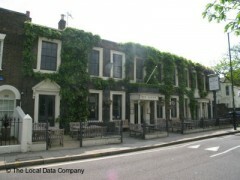 About: The Albion is an elegant late Georgian pub with a country atmosphere. They serve traditional British food including Sunday roasts as well as a wide range of ales. Major sporting events are available for viewing on TV. They also have a beer garden with vine-entwisted trellises and flower beds full of roses. Non smoking areas are provided. It’s not going to do my street cred any good, as it’s quite posh, but it does a great Sunday roast and has a nice garden. Maybe it’s something about The Albion’s online menu closely resembling the style of Hawksmoor’s, but even before we took the chance to visit there were some good vibes flying around. At £17 for a beef roast, some might baulk, but The Albion on Thornhill Road does it all so well that that issue – and many others – seem to drift away as the food arrives. Maybe it’s the aged rib of longhorn beef, maybe it’s the triple cooked, duck fat potatoes, who can know? But it’s magical. Located on a residential Angel street, its separation from the busier parts of North London does nothing to halt visitors. Maybe that is because of the excellent food and fine range of beers. Or maybe it’s the cosy open fire that keeps the place toasty. The Albion has the worst attitude towards its customers that I have ever encountered in around 50 years of restaurant-going, during which I must have spent hundreds of thousands of pounds on food and drink. When you order a meal, they demand that you give them your credit card, which they lodge behind the bar until you pay the bill. And before you ask – no , I do not look like a career criminal. I look ridiculously respectable and have, in fact, eaten dozens of times at the Albion before under previous managements. I can understand that they may have a problem with dishonest folk who leave without paying, but I have never been treated as a potential criminal before in any pub, café or restaurant where I have eaten – and I’ve eaten in some pretty dodgy areas, believe me. The management of the Albion is extremely foolish, because just around the corner is the Draper’s Arms, with superior food and an appreciably better attitude. I cancelled my order of food and wine and walked out. I shall not be returning to the Albion until it is under new management. If you don’t want to be treated like a criminal, I would advise you to boycott it too.